School dinners were a national joke when I was was growing up. And at secondary school I was happy to join in: chips & beans & iced bun does not a healthful meal make! But at primary school in Almondsbury things were different. The chicken fricasé did not look like sick with sawdust on it, the spam fritters were not greasy but yummy, and the puddings were the best! My favourite was lemon curd shortcake. I persuaded my mum to talk to the kitchen staff and get the recipe. After converting it from ‘serves 100 kids’ down to a more familiar family size my mum had the recipe, which I’ve converted into metric in my own recipe. When I used to make this as a kid with my mum, it was all by hand. 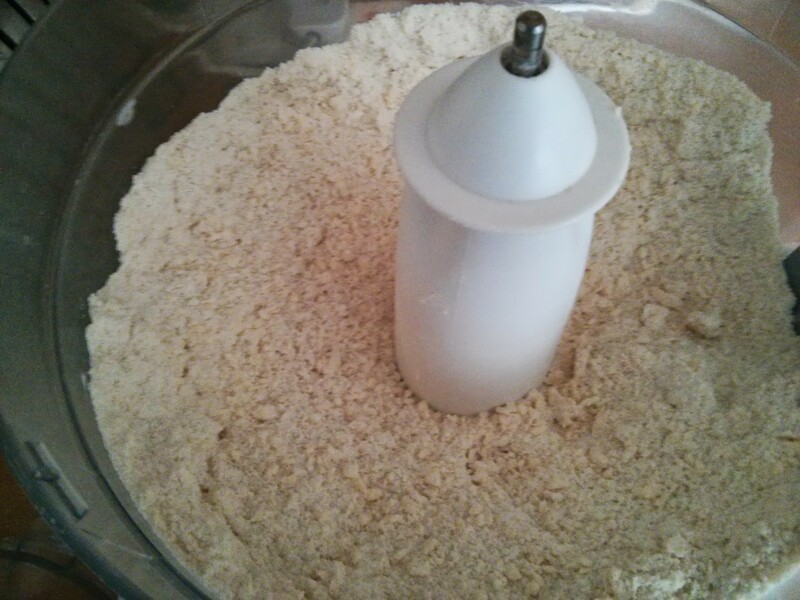 Sod that: food processor these days! 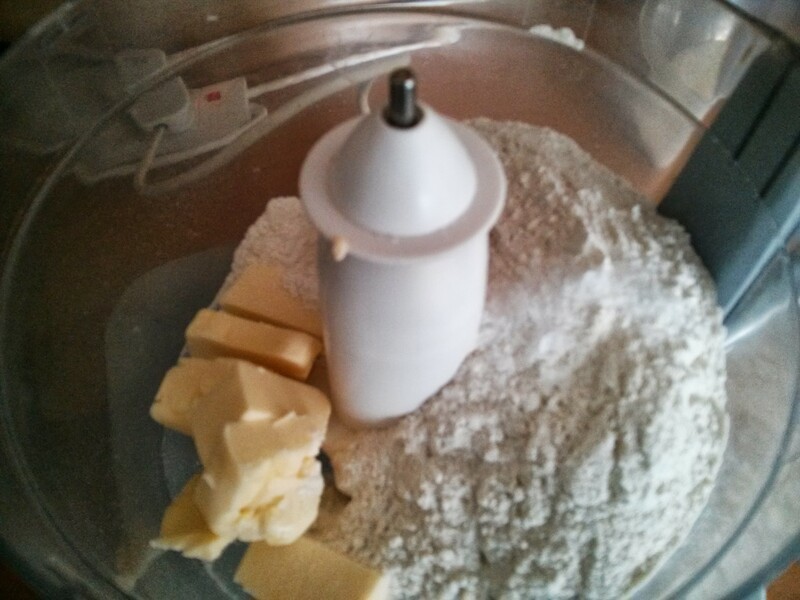 So start with flour and butter. After a few pulses you get breadcrumbs. 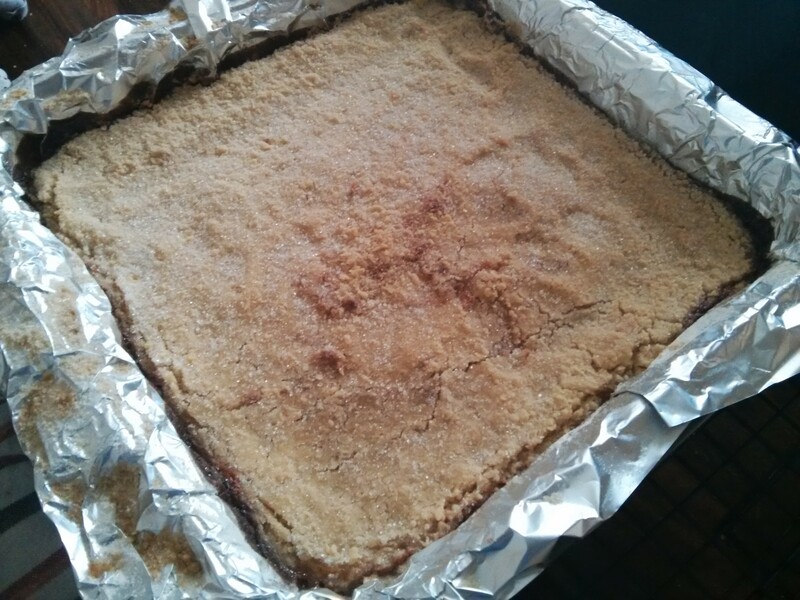 Mix in the sugar and salt, then tip into a foil lined tray (foil goes over the edges to make lifting it out easier). You need to push down hard as it’s very dry. If you’re making it plain, it all goes in. But I’m adding lemon curd. 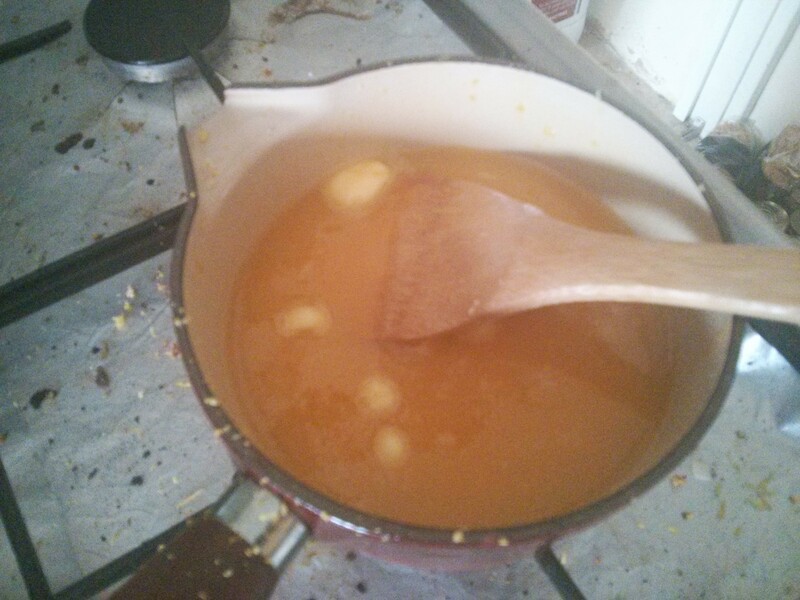 So 2/3 in now, then the lemon curd, then the other 1/3 later (pressing down less hard, lest it go everywhere!). You can use any jam or spread as a filling. Spreading it on the base can be hard, so it help to warm the jam to make it flow easier, or just put blobs of it down. Put it all in a small pan and heat on a low heat until it coats the back of a spoon; takes about 15mins. Then strain through a sieve. 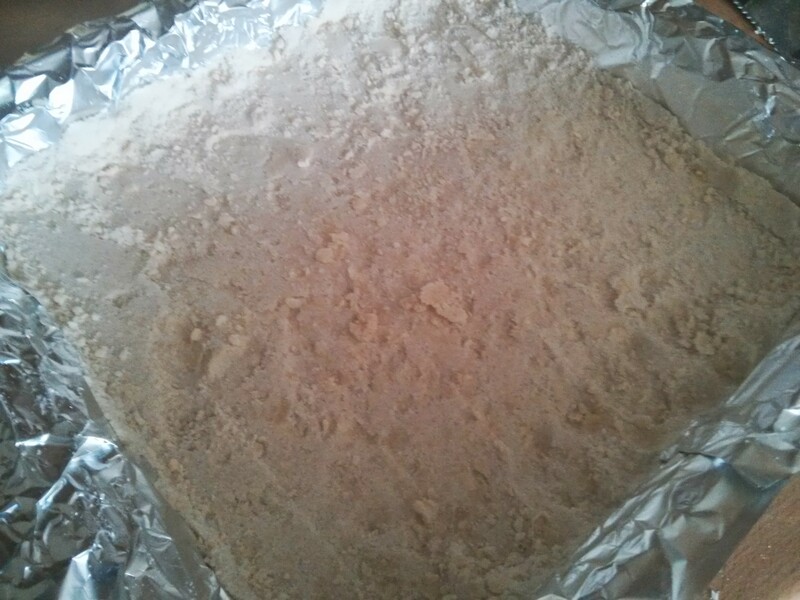 Pout some over the shortcake, and put the rest in the fridge for toast :) Then cover with the rest of the shortcake mix. Sprinkle some extra sugar on top, then into a 160c fan over for 30mins. This certainly brings back memories for me. The chief cook at Almondsbury school was very happy to give me the recipes requested. She was pleased when I told her we adapted them to fit our family and then made them in our kitchen. Chocolate crunch was another favourite – no real chocolate in it, that was too expensive, just cocoa. ← Pizza & Chips: Makeover!